Awkward Ellie is desperately trying to not be awkward at her first tea party. Unfortunately, Ellie is an elephant and it turns out drinking tea and eating cake is quite difficult when you don't have opposable thumbs. Put a Playstation Move controller on your nose and use your elephant trunk to drink tea and eat cake like any nice guest would do. Try not to knock over any things, unless you want to embarrass yourself. 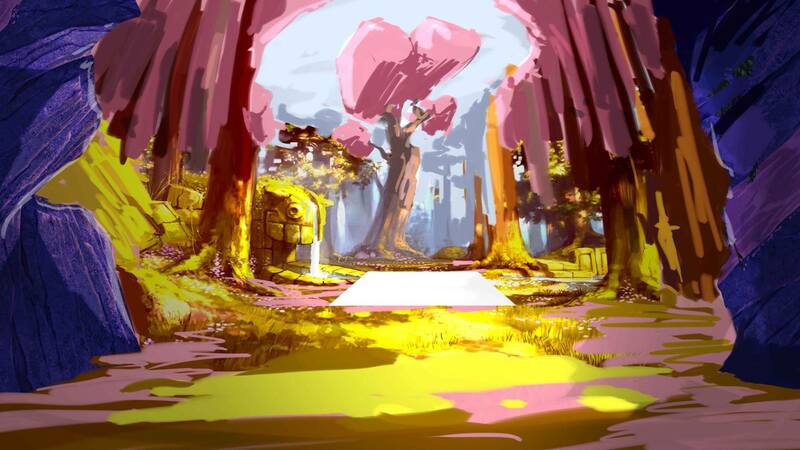 Marvel at the stunningly colorful low-poly world through the lens(es) of an Oculus Rift. 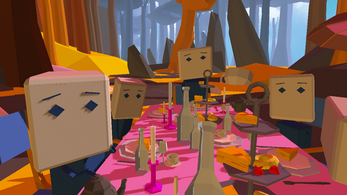 For maximum fun, add tusks, ears and a snout to your Move/Oculus gadget extravaganza.